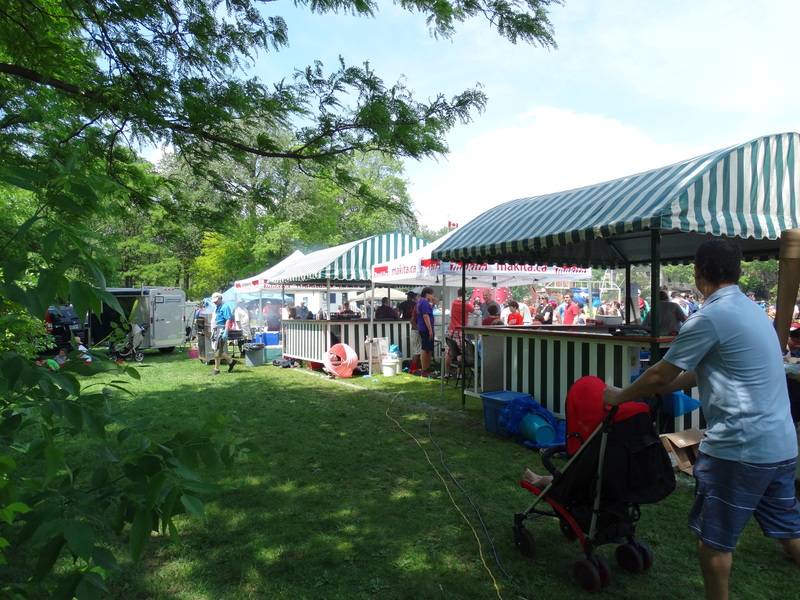 Did you enjoy Westmount Park’s unofficial “apple blossom festival”? 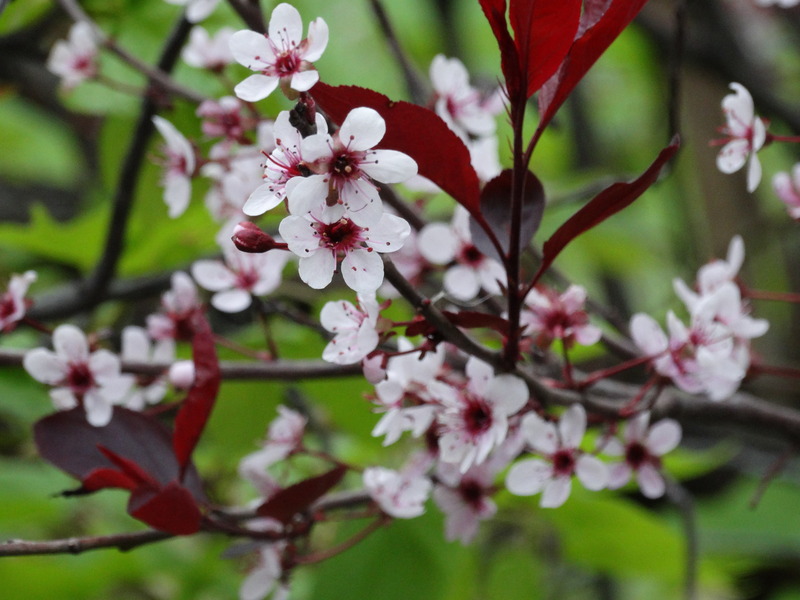 Throughout the world, the arrival of spring is heralded by brilliant colour displays from blossoming trees. In Japan’s Honshui Island’s Hirosaki Park, sakura (cherry blossoms) numbering in the millions bloom in early spring. 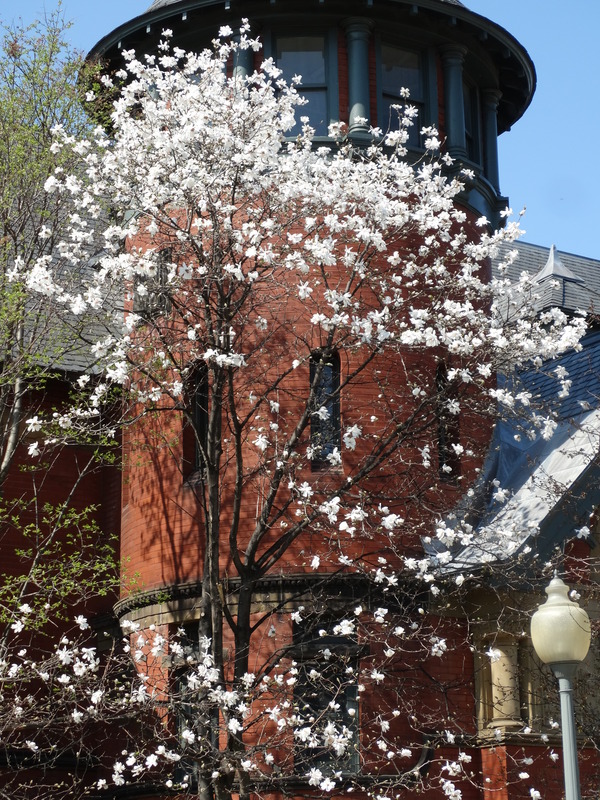 In Washington warmer temperatures are marked with the blossoming of thousands of Yoshino (cherry) trees (given as a gift of friendship, in 1912, from Japan). 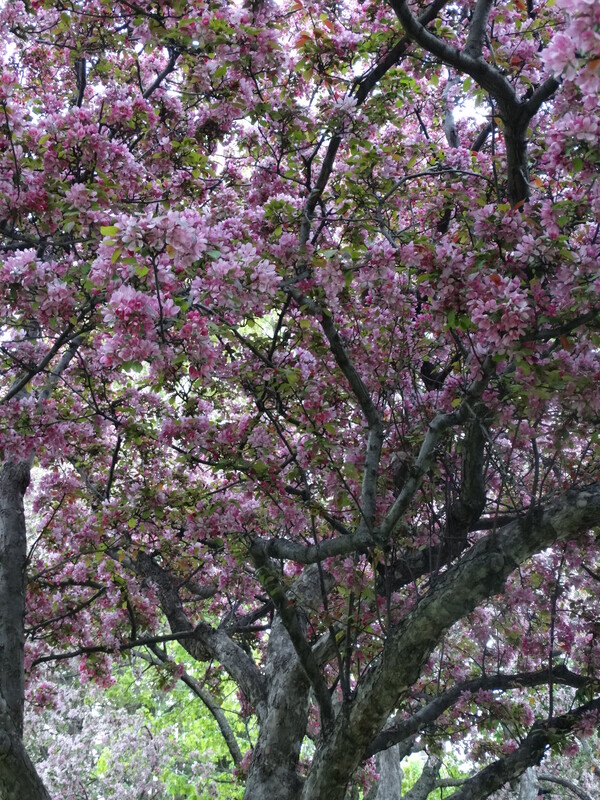 Westmount cannot compete with either location, but in our own small way, we did have a spectacular, head-turning, display of thousands of flowers, albeit for only two short weeks, from the park’s sweet crab apple (Malus coronaria) trees. 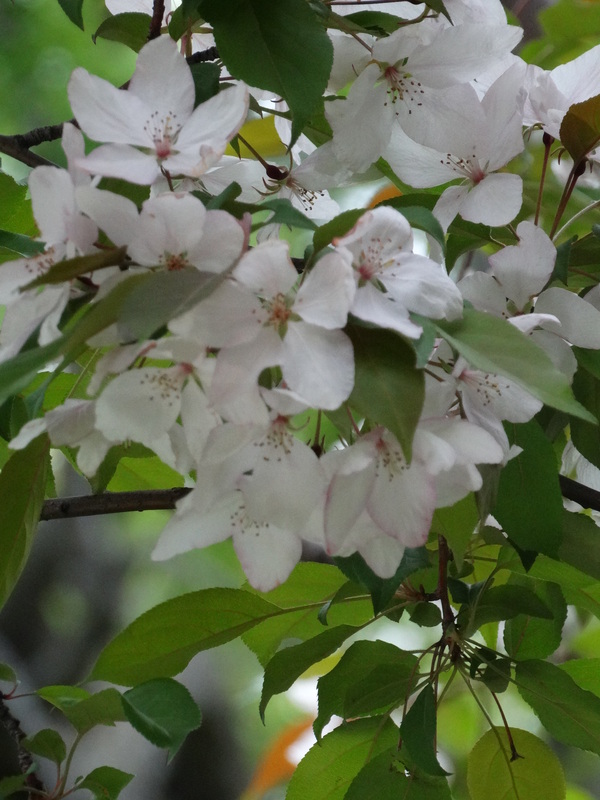 During that time the park was ablaze with white and pinkish coloured blossoms that filled the air with a beautiful sweet fragrance. 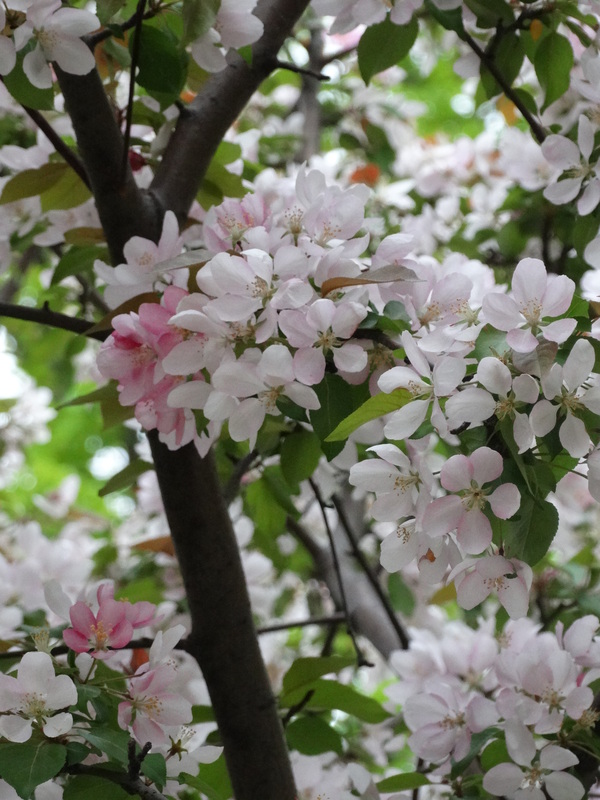 Crab trees are native to Britain (originally introduced by the Romans) and are the ancestors of today’s cultivated (cultivar) apples. 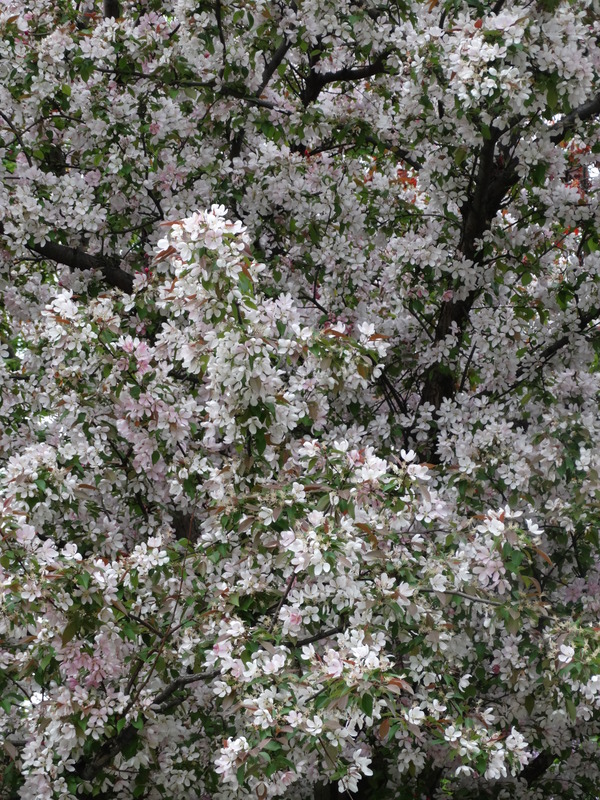 The tree’s name “crab” originates from the Norse word for scrubby: “skrab”. The path from ancient crab trees to today’s domesticated apple cultivars is a fascinating story. (No it wasn’t solely “Johnny Appleseed” as we were taught in school). The story starts with the Old Silk Roads – ancient trade routes from the Caspian Region (Black Sea) to Western China – established in the Neolithic (10,000 B.C.) period. Trains of pack-animals would spread seeds from ingested fruit along the route causing new hybrids to develop from previously isolated species. The invention of grafting techniques (by either the Persians or Chinese) and used by the Greeks created new apple cultivars as described in the botanical works of Theophrastus (around 300 B.C.). The Romans brought apple cultivars to Britain where they flourished and hybridized, amongst themselves, to such an extent, that by the nineteenth century every town and village in central and southern England could lay claim to a local apple. Apples were introduced to North America by the colonists in the sixteenth century in the form of seeds (grafting was rarely practiced). In fact, entire apple orchards were started with seeds (pips) that allowed hybridization with local crab trees to produce new species of cultivars in a fashion described as a “vast experimental station”. 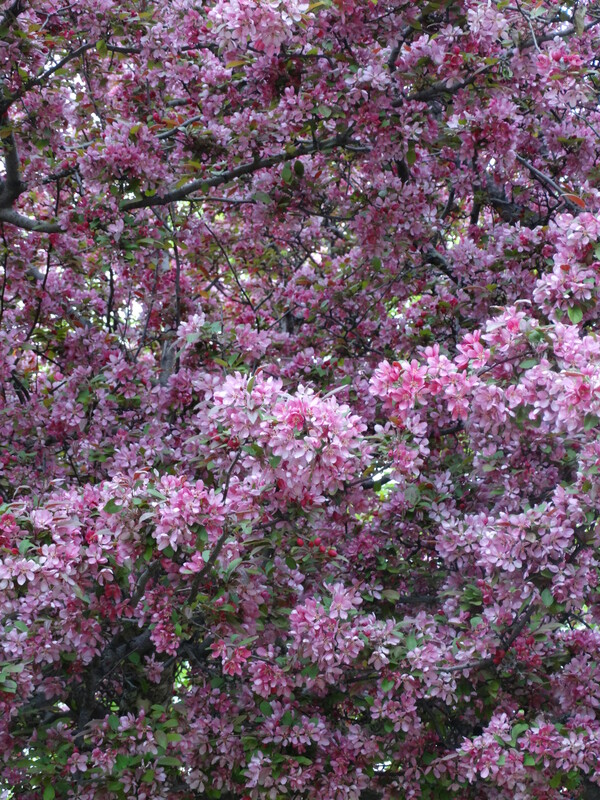 Next time you are walking through Westmount Park, where the paths are lined with crab apple trees – think back over seven centuries to Bartholomeus Anglicus who, in 1240, in one of the earliest botanical books describes “’Malus the Appyll tree” as containing “dyurs blossomes, and floures of swetnesse and Iykynge: with goode fruyte and noble… some beryth sourysh fruyte and harde, and some ryght soure and some ryght swete, with a good savoure and mery”. 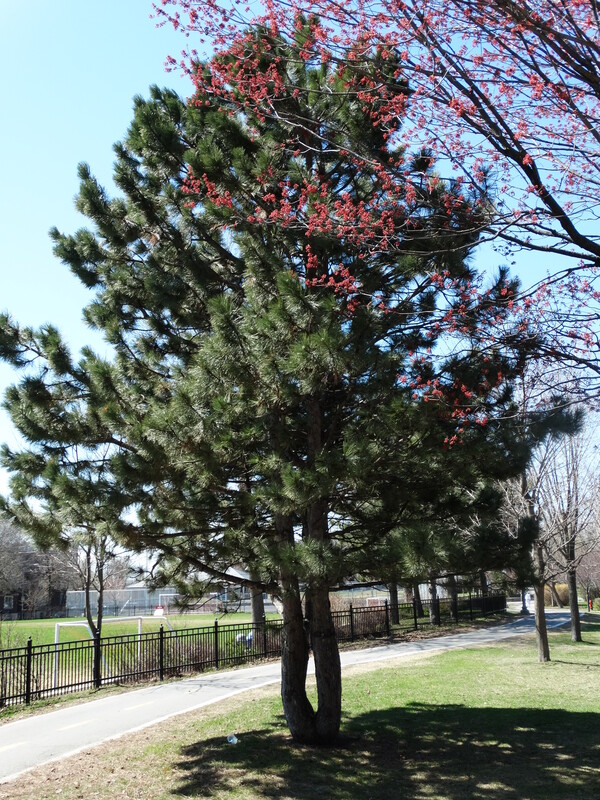 I have always been intrigued with the conifer, next to Westmount Park’s gazebo, that has four trunks. The tree’s long slender needles (attached in bundles) make it a pine. One can tell it is a Red Pine (Pinus resinosa) by its reddish-brown bark in armour-like plates, the needles being attached in bundles of two; and interestingly, their ability to break if one wraps them around a finger! The species is commonly known as Norway Pine – although native to North America – it never grew in Norway. 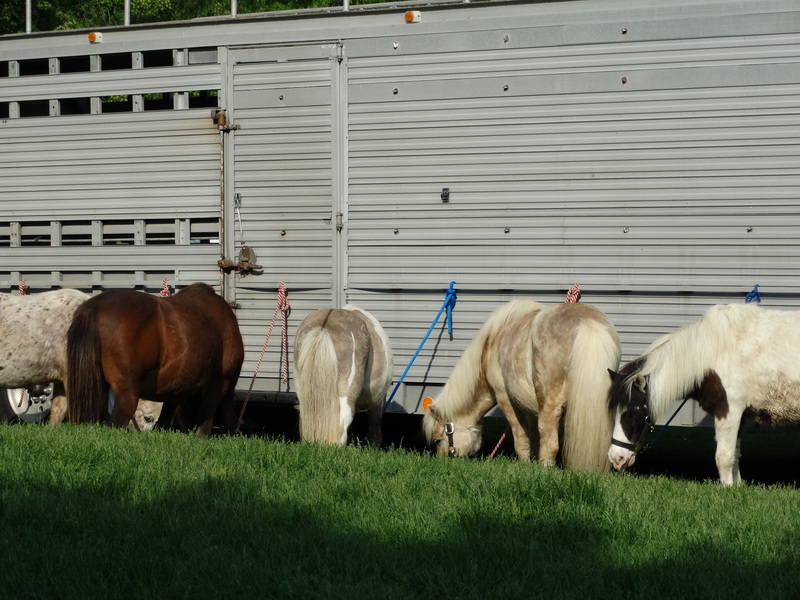 The four trunks are an interesting story. This is commonly known as coppicing (from French couper). It is the ability of a tree, if damaged, to regenerate from a stump (“main stool”). One can only speculate that either severe weather or insect damage caused the park’s Red Pine to lose its main trunk (the thick bark is resistant to surface fires of moderate intensity). Coppicing produces a self-renewing source of wood (that can last for hundreds of years) and, in the past, was a sustainable form of lumber production. In fact, in Britain, the oldest trees are coppice stools that date well over 1,000 years. This form of lumber production dates to the Neolithic (stone age) era evidenced by ancient wooden tracks, from coppiced trees, across the peat moors in Somerset Levels England. Along the Anatolian coast (present-day Turkey), a honey is produced from Red Pines. One specific insect (Marcheliana hellenica) burrows under the bark, concealed in whitish secretions, and produces a sugary pinkish coloured honey-dew that is collected by bees. Native Americans (particularly the Ojibwe people) used the trees’ needles to make dancing figures. The needles were cut to form a dress and arms, then placed on a sheet of birch bark – that when tilted – gave the appearance of the figures dancing. Finally, the reverence Native Americans had to pine trees is reflected in the poignant Haudenosaunee (Iroquois) legend that tells of seven dancing brothers that one day rose from earth to become stars. One of the brothers looked back and saw their mother crying – in doing so, he fell back to earth. At the point where he entered the ground, a towering pine tree grew that pointed to the location of the other brothers in the sky. 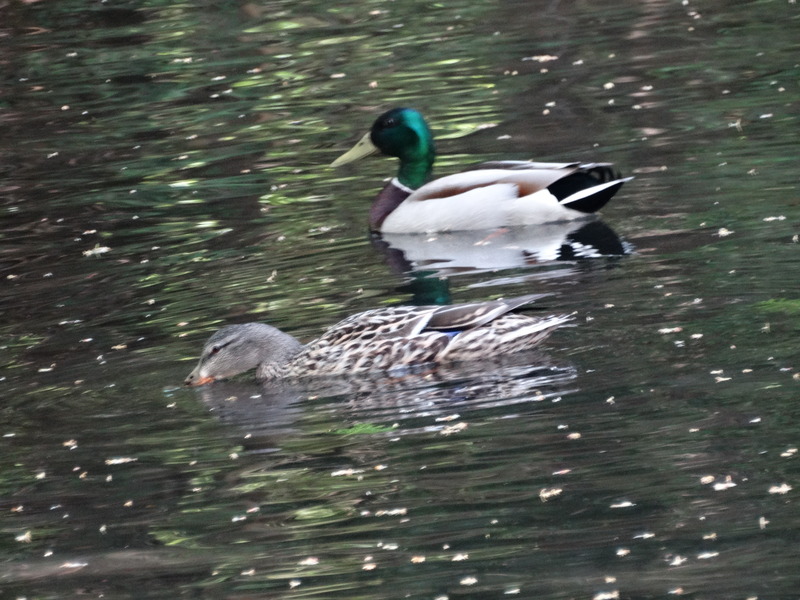 The Mallard ducks are back in the park’s lagoon – this appears to be a Spring ritual! It is quite remarkable, that in the space of two weeks, the park’s trees have transformed from having no foliage to full bloom. It is a spectacular show of colours. 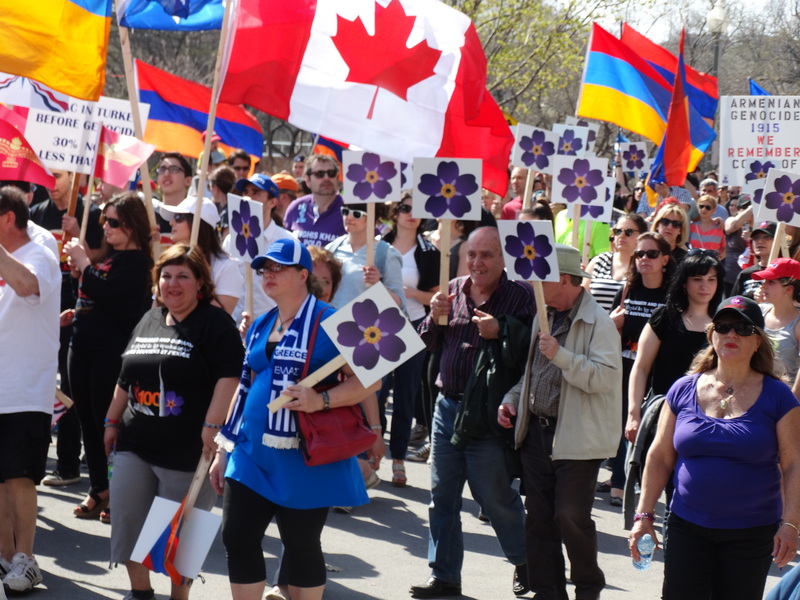 A march, along Melville Avenue this afternoon, organized the Armenian Genocide Centennial Committee of Canada. 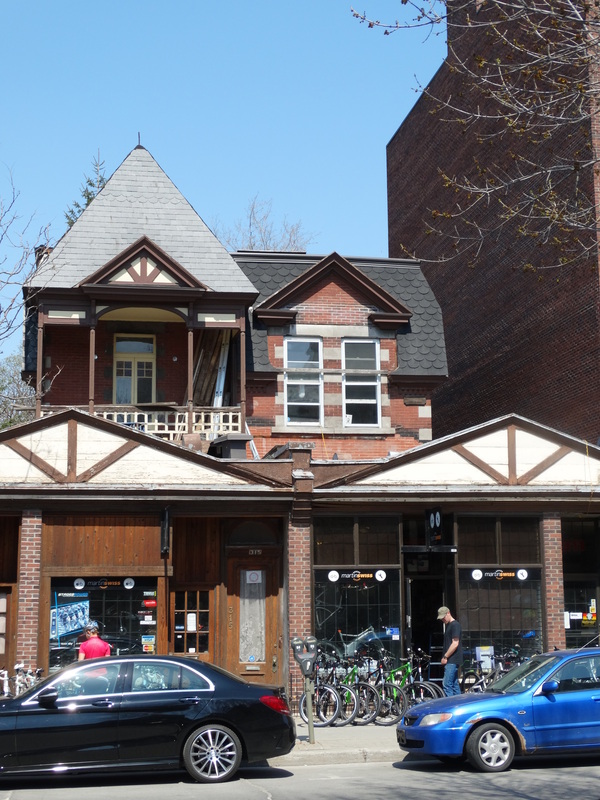 The façade of the Martin Swiss Bicycle shop fronts a building that was once an inn. Several years ago I had the opportunity to visit the house – the former inn’s doors still had brass numbers! 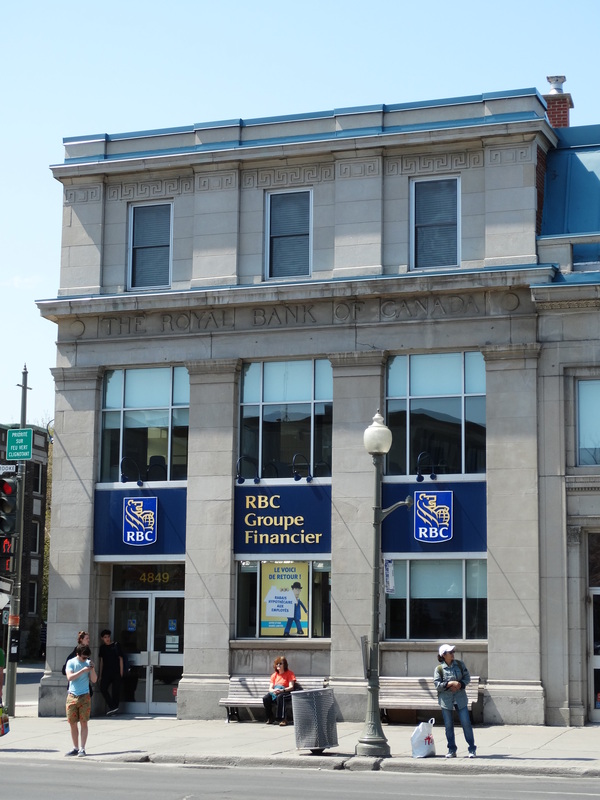 The Royal Bank of Canada (now named RBC) at Sherbrooke Street at Victoria. Built in 1907 and designed by Howard P. Stone. The building has gone through (at least) 3 alterations. The upper most floor was originally a residence for the bank’s director.